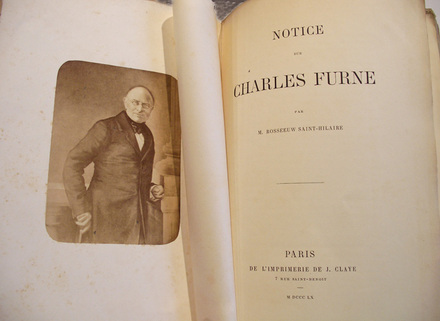 In the year following the death of the French publisher Charles Furne (1794-1859), a record of his life was published by the noted historian Rosseeuw de Saint-Hilaire. 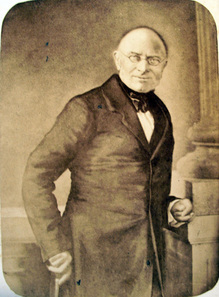 To further honor Furne, a portrait photograph was printed and pasted to the frontispiece of each book. The prints may have been created by his son Charles Paul Furne, an early practitioner of photography.